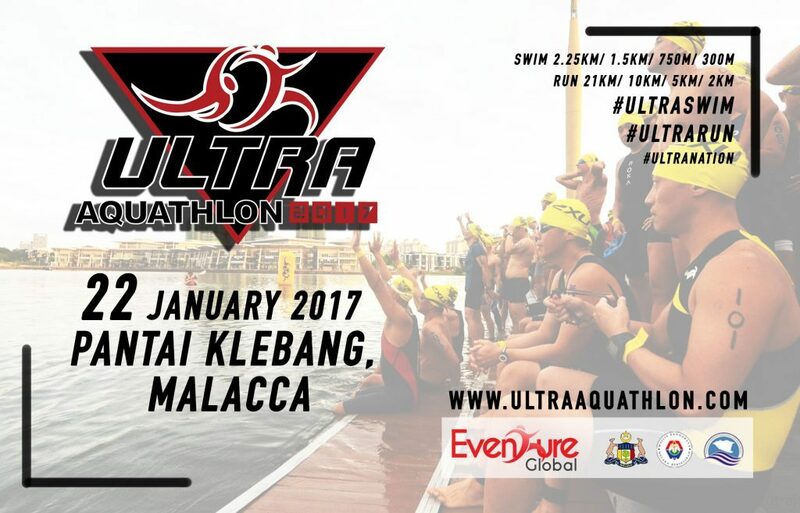 Ultra Aquathlon Malacca 2017 | JustRunLah! - Swimsuits must be worn. - All swimmers must wear the swim caps provided by the Organisers. - Swim goggles may be worn. - Fins, paddles, pool buoys, snorkels or any other swimming aids are not allowed. - Wet suits are not allowed. - Support crews are not allowed. - No persons other than the participants and officials are permitted in the swimming area. - Warming-up for the swim must be conducted within the designated area. - Runners must wear their race bib at the front of their attire or apparel at all times during the run. - Running with bare torso is not allowed. - Support vehicles or pacers are not allowed. - Runners must run on the designated path for the entire route. Failure to do so may result in disqualification. - Wearing headphones is not allowed at all times.